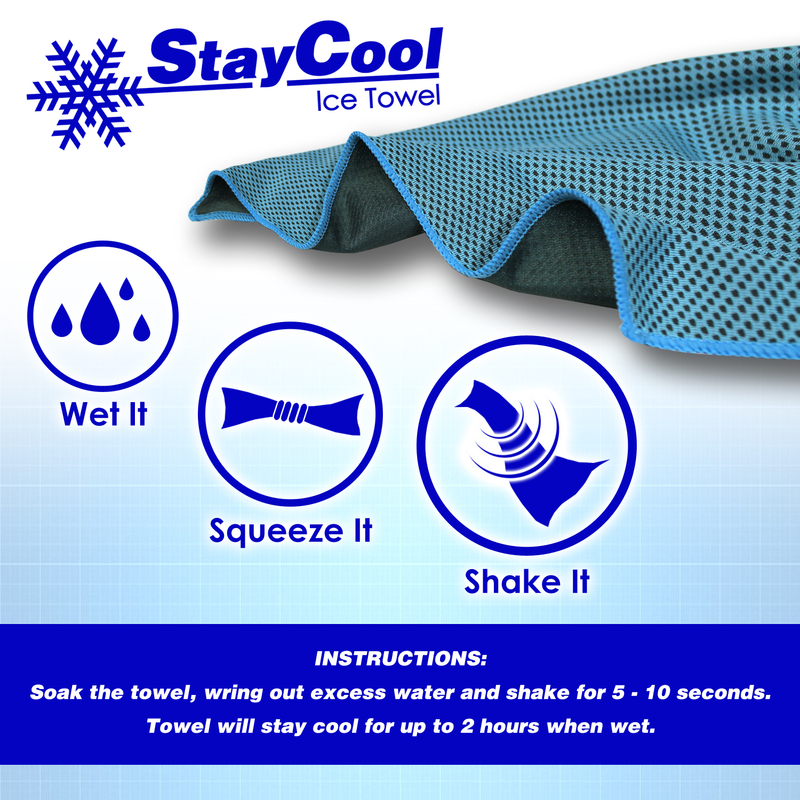 Simply soak the towel in water and squeeze out any excess, then shake the towel for 5 - 10 seconds to activate the cooling effect. 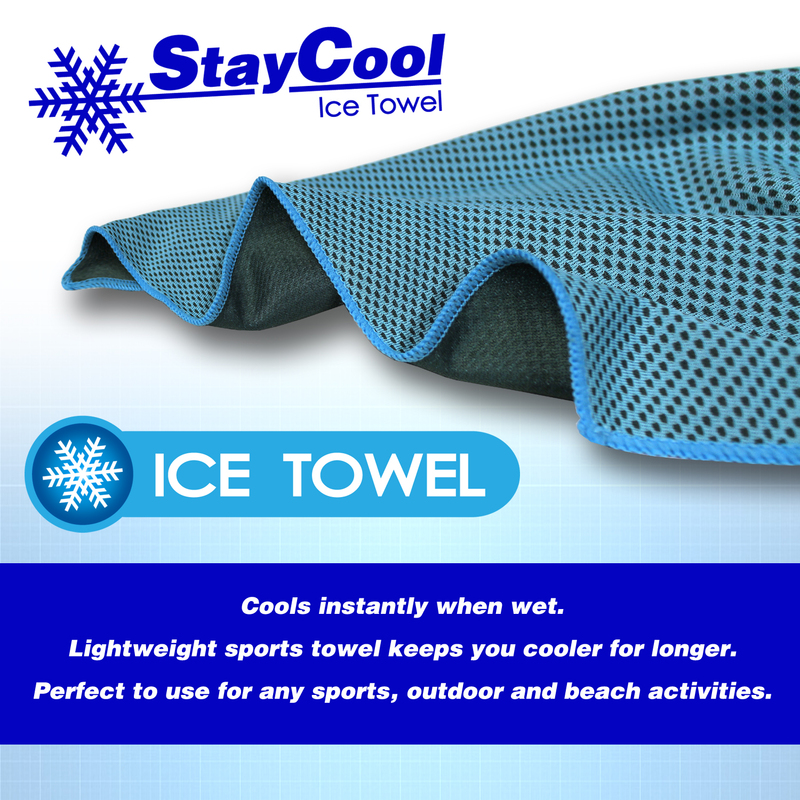 The cooling effect lasts for hours and is great for all types of sporting activities. 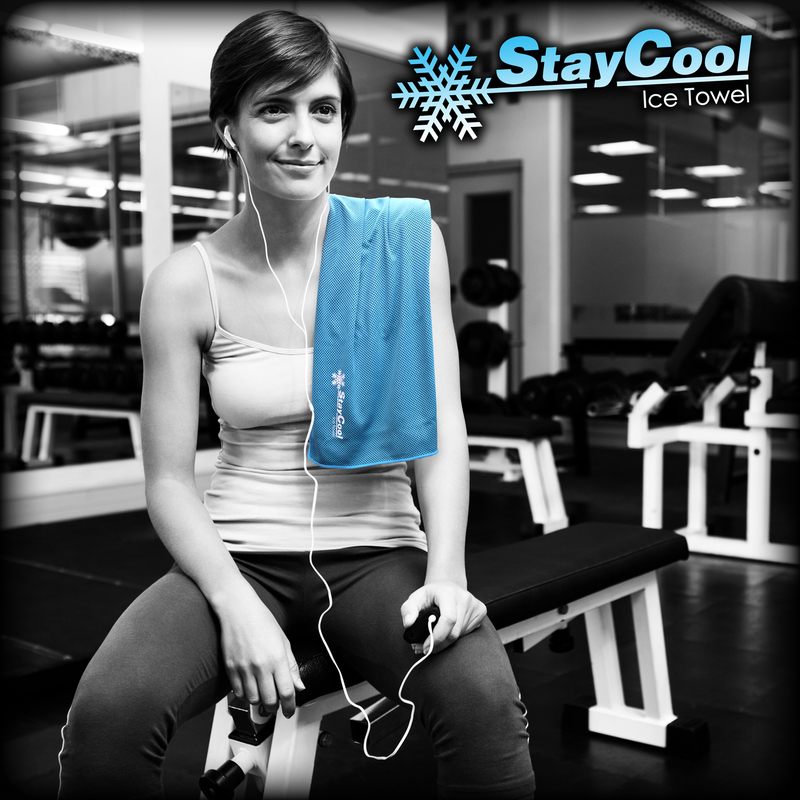 Ice Towel comes in a convienient tub with a clip lid for easy storage. You can wet the Ice Towel and store it until you need that fresh blast of coolness! 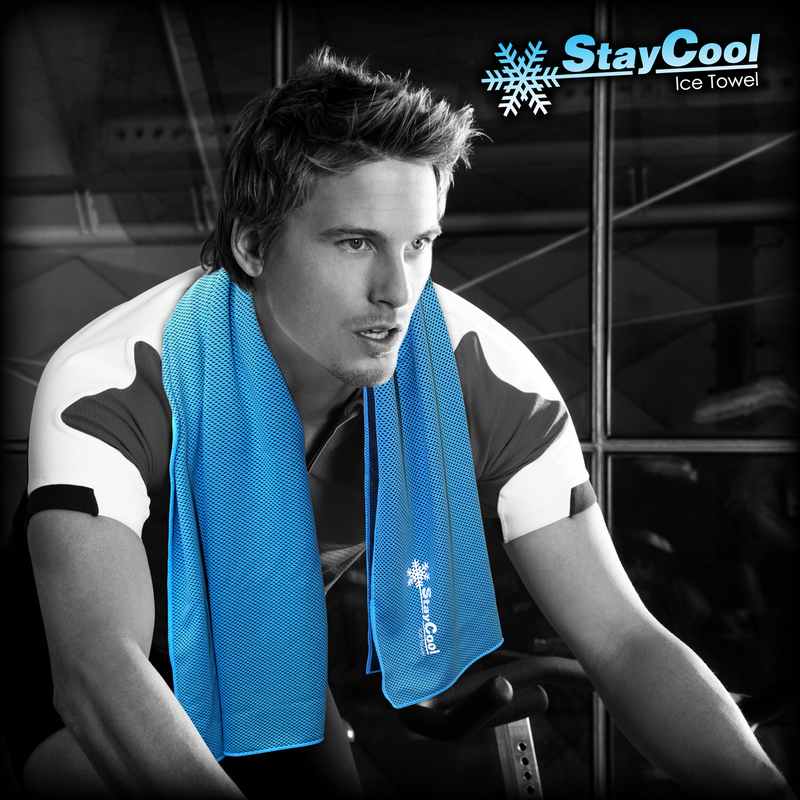 Delivery is done via a national courier company and all orders should be shipped and with you within 3 days. 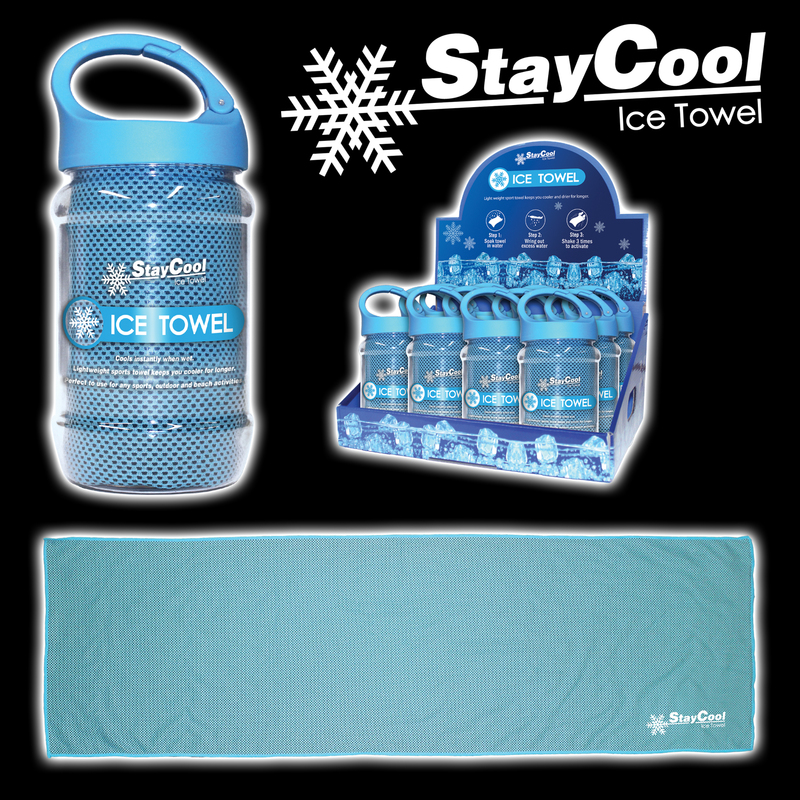 If you wish expedited delivery please contact us on the number above.